Congratulations to "Christina M", the winner of Jennie's giveaway. Thank you to all who participated! A few weeks ago, I was invited to do a workshop for a local writers group. It was an all-day thing, and they wanted information about absolutely everything, from writing the book to querying the agent to self-publishing to promotion after the book is out there in the world. One of the first things we covered was the three parts of a book: setting, characters, and plot. A book idea can come from any of them, of course. I pretend to mail-order my ideas from a small convenience store in Nebraska, but the truth is, ideas are everywhere, ready to be scooped up by the handful. Take Act of Redemption, the first book in my Art Crime Team mysteries, for instance. The original desire to write a book set outside of the United States came from Carla Neggers, back a few years ago when she was working on her Irish/Boston cops books. I think the actual culprit was probably The Angel, although I’m not 100% sure. There are a lot of books written about Ireland, and although I’m married to an Irishman and would definitely enjoy writing about his heritage, there are a lot of other gorgeous, exotic, exciting places in the world. even after 25 years abroad. When I die – if not before – I want to go home. Of course, after I die, things become a little more difficult, since I can’t just book a ticket and hop on a plane. Someone has to actually take me there, what’s left of me. Since my husband doesn’t like to fly, and since he might go before I do anyway, that task would be left to my kids, most likely. I started playing with the idea of a young woman – timid, shy, not used to international travel, out of her depth with the language of the place she’s headed – taking her estranged father’s ashes back to his homeland. And in the time-honored tradition of writing I asked myself, “What’s the worst thing that could happen to her?” and then I did that: had my poor main character lose the cremains at the airport in Stockholm. Could there be anything worse? Not only are the ashes lost, they’re stolen. And suddenly she finds herself – this shy, quiet librarian – up to her eyebrows in intrigue. Her room is ransacked – twice, in two different hotels in two different cities. Her father’s old friend is murdered, just before he can talk to her about her dad. She’s almost arrested. And she has not just one but two men interested in her. There’s Nick Costa: tall, dark and handsome, a dashing James Bond lookalike – and unbeknownst to Annika, an agent with the FBI’s Art Crime Team. 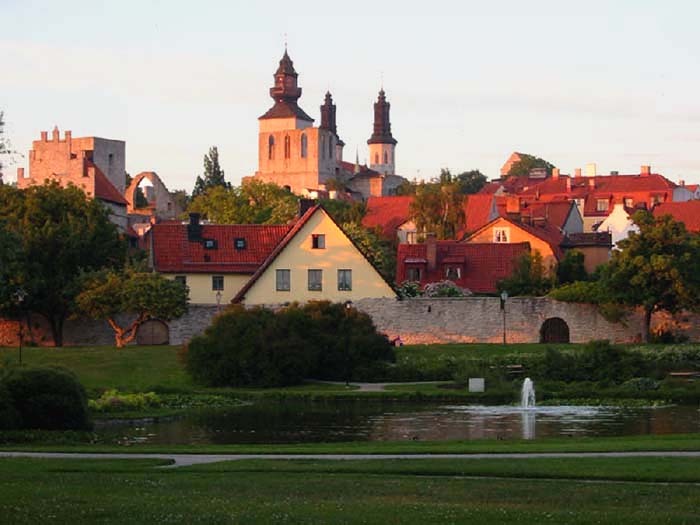 Nick has been following her because he thinks her father shot a security guard and stole a priceless Viking treasure from the Visby museum on Gotland 30+ years ago... a treasure Nick thinks Annika knows where is. And there’s Curt Gardiner, as friendly and excited to meet her as a Golden Retriever puppy. Like Annika, Curt lost his mother recently, and is on a pilgrimage to her homeland in her honor. He’s not quite as sophisticatedly dashing as Nick, but Annika doesn’t have to worry about his motives, and he’s as safe and familiar as apple pie. 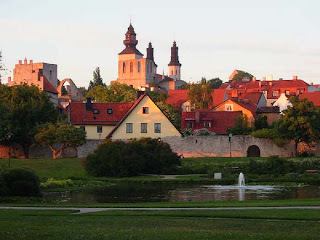 The book ends with a shootout in a graveyard on Gotland, involving no less than three men with guns, plus Annika herself. In the end, one man is dead, one’s bleeding, and one is still standing. 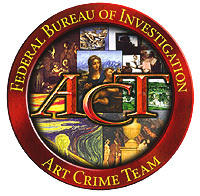 I hope to write more books about the FBI’s Art Crime Team. (They’re a real entity, by the way. And yes, they do work outside the US, when they get called in by local authorities.) The world is full of beautiful, romantic locations, exciting cultural treasures, and the potential for murder and mayhem. So if it were you, where would you set a book about a dashing FBI agent – male or female – hunting down bad guys, rescuing endangered artwork, and finding love? Jennie will be giving away a print copy of ACT OF REDEMPTION to one lucky commenter. Giveaway ends 11:59pm EST April 15th. Please supply your email in the post. You may use spaces or full text for security. (ex. jsmith at gmail dot com) If you do not wish to supply your email, or have trouble posting, please email maureen@justromanticsuspense.com with a subject title of JRS GIVEAWAY to be entered in the current giveaway. Giveaway for US and CANADA postal addresses. Well since it can be anywhere how about Iceland! Iceland doesn't get used much in books and I think it would be a great place to use. I have not read your read your work but this book looks very interesting. The obvious choices are Paris and Rome where there are great works of art but also great security. I think either would be very cool. Oh wow, you have really caught my attention with the description of your book! Sounds great! Gee as for where to base a book, I have no clue... there are so many possibilities... Have not travelled much, so I guess I will leave the location to the writers and go along for the ride. Thanks for sharing! Sounds intriguing. How about South Africa? My choice is Hong Kong. My choice would be the Getty Museum in Los Angeles. I don't think I ever read a story of an art heist with the Getty Museum as a setting. It's not exotic but it a very well known museum in Los Angeles. I think I would choose Ukraina, with the mafia hot on the hero and heroine trail.